The topics listed below can be taught in a number of formats ranging from one hour lectures to several day courses and can be tailored to the needs and interests of your group. Photo + Words + Fabric = Poster Quilt ! Silk Printed Scarf: Is that a J.Pegg * you’re wearing? Project Runway did it, now you can too. Create your own fabric to use in wearable art projects. Start with a photo image. Transform it to suit your taste - realistic, abstract, kaleidoscope, or themed using easy photo imaging software. Learn the secrets of printing soft, washable images on silk using an ordinary inkjet printer or by sending it to an internet printing service. 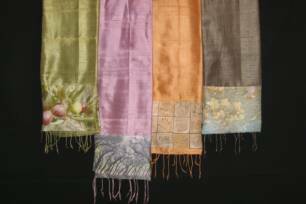 In the afternoon, we’ll combine your image with a piece of colorful silk to make a stunning silk image-inspired scarf. Is that a J.Pegg * you’re wearing? Project Runway did it, now you can too. Create your own fabric to use in wearable art projects. Start with a photo image. Transform it to suit your taste - realistic, abstract, kaleidoscope, or themed using easy photo imaging software. Learn the secrets of printing soft, washable images on fabric using an ordinary inkjet printer or by sending it to an internet printing service. In the afternoon, we’ll combine your image with a coordinating fabrics to make a stunning image-inspired purse or iPad tote. 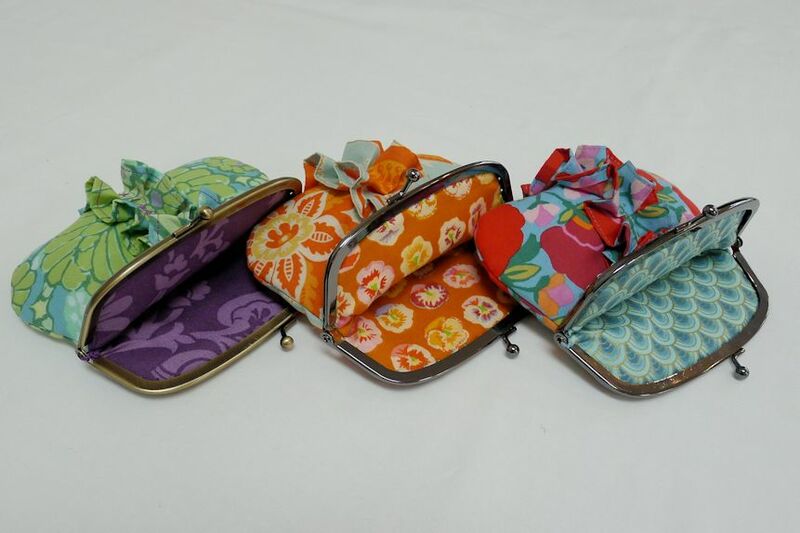 Coin purses are such fun to make because they call us to combine any two wonderful and colorful fabrics to make such useful yet pretty gifts. The sewing is amazingly simple and the class can even be taken without a sewing machine. If you do bring a machine, you will be able to make two! The basic pattern allows for many types of embellishment. I chose a feminine ruffle (and you could make that in class using my machine) but applique, buttons, or embroidery are other options for making yours unique. 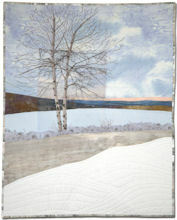 'Photo quilts’ often use a bulletin board setting – fabric photos set in a regular pattern on the surface of the quilt. 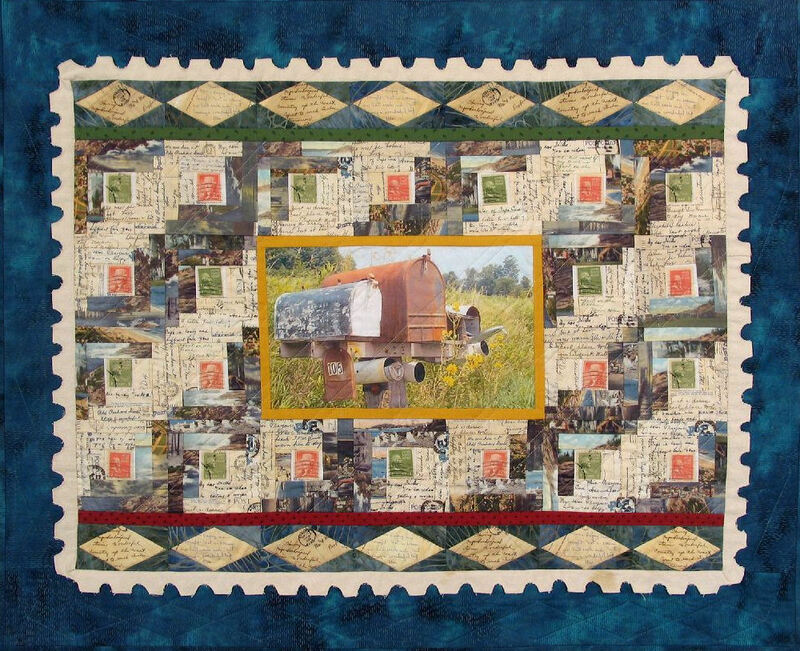 But, there are so many other ways to incorporate your own images into your quilted pieces so that the viewer cannot tell where the photo ends and the fabric begins. We’ll start with a quick review of the mechanics of printing from your computer onto fabric. 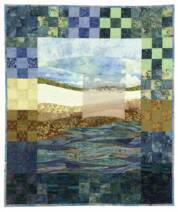 Then, we’ll focus on a variety of ways to include your fabric photo in your quilt design. 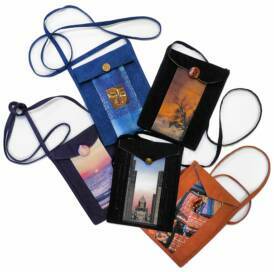 Mary Ellen’s trunk show provides an inspiring and innovative look into the art of blending photos with fabric. Technology is all around us. Can we use it to create our beautiful quilts or save time so we have more time to sew? When do you need a digital camera and when will your iPhone/ iPan do the trick? How can you get your iPhone photos onto the computer to use in your quilts? What are the advantages of the various apps and software packages aimed at quilters and fiber artists? What are good services to print your photos on paper, canvas wraps or fabric? 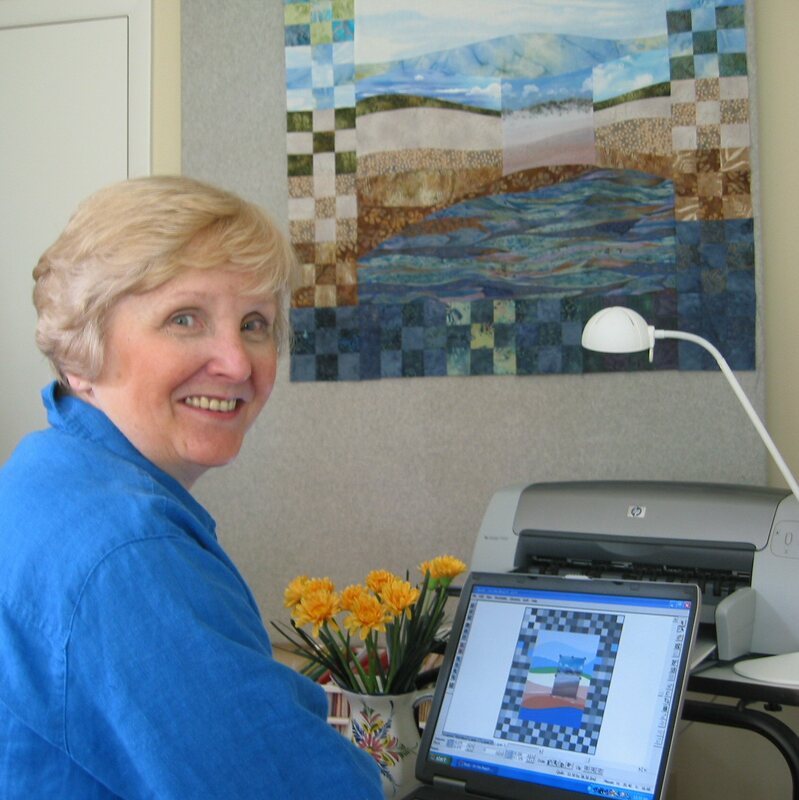 Mary Ellen shares her extensive knowledge of how quiltmakers can use the latest digital technologies.